McAfee SaaS Email Encryption offers enterprise-level performance to help organizations with data loss prevention and email data protection. Together with deep content inspection capabilities, pre-built extensive compliance libraries help speed the time to demonstrating compliance, ranging from regulatory, regional, or corporate requirements. 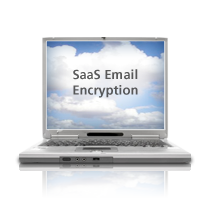 SaaS Email Encryption is available as an addition to SaaS Email Protection and Continuity. Identify sensitive data quickly with built-in compliance templates — In addition to regular expression technology to identify keywords and phrases, SaaS Email Encryption has hundreds of pre-built data loss prevention rules that are also included in McAfee Data Loss Prevention, enabling you to leverage advanced data loss protection and compliance capabilities. Features include the ability to fingerprint and register documents to detect and block key documents — or even select language from within those documents — from being emailed out of the organization. Drive consistency with customizable, policy-driven encryption — As an IT administrator, you can use the unified, web-based console to set, review, and customize privacy policies (policy-driven encryption), so confidential content is automatically encrypted. You can also customize and enforce multiple policies for respective user groups, branch offices, and lines of business. Easy-to-use translates to an elevated security posture — Simply send your email and the content, including over 300 attachment types, is automatically scanned and encrypted if it matches the policy set by the administrator. This occurs transparently behind the scenes. You can also tag your email to be encrypted by simply adding "[encrypt]" to the subject line or within the message body. As a recipient, you can retrieve the message from the web-based message pick-up portal (pull encryption) or read an encrypted message that was sent to your inbox through a browser reader (push encryption). When you reply, the message will also be encrypted, providing you with bidirectional protection.